Recently the fields of architecture, media studies, and education have begun to converge through the proliferation of mixed reality technologies and interfaces. This convergence is widely described as offering new opportunities for immersive, seamless, decentralised, and environmentally distributed learning experiences. This chapter contributes to a growing body of research exploring the transformation of learning environments through distributed media networks, digital databases, and innovative pedagogical interventions. 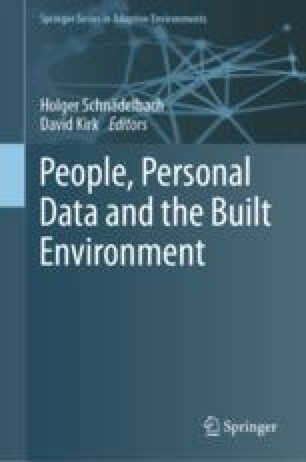 It develops a theoretical framework for researching the interconnections between the built environment, mixed reality technologies, and place-based learning experiences and pedagogies. The second part of the chapter focuses on the development of the CubeWalk network, which involved a series of site-specific architectural installations, digital interfaces, and pedagogical interventions on a university campus in New South Wales, Australia. Two case studies are presented which describe the co-design and evaluation of mixed reality tutorial walks across the university campus. Drawing together insights rendered through the case studies, the chapter offers a series of theoretical propositions for a ‘mixed reality pedagogy’ that is distributed across 21st century learning environments and media networks.